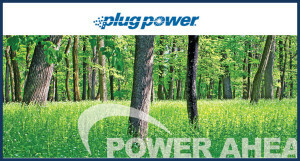 Plug Power, a developer of hydrogen fuel cells, has released the results of its third quarter performance. The company, like others in the fuel cell industry, has been fighting to establish a foothold in the commercial market. Over the past year, Plug Power has managed to gain significant momentum in the market and has attracted attention from investors and businesses alike for its innovative fuel cells. Plug Power has seen some successes during the third quarter of this year, but the company has also seen losses. According to the company’s third quarter results, revenue has reached $19.9 million, more than four times higher than what it was during the same quarter of last year. The company has been working to achieve profitability for the first time in its 17-year history. CEO Andy Marsh has been instrumental to this process, has he has successfully diversified the company’s focus, allowing it to enter into the materials handling space, which has made Plug Power more attractive to clients like Walmart and FedEx. The company has also been involved in the transportation space, making fuel cells that will be used in a new generation of vehicles. Plug Power is on track to see $150 million worth of orders from its clients, new and old, by the end of this year. Some 857 of the company’s hydrogen fuel cell systems were shipped during the third quarter, up from the 155 fuel cell systems shipped during that same period last year. By the end of the year, Plug Power’s revenue is expected to reach $75 million, and revenue may reach $130 million by the end of 2015. While Plug Power has seen some success this quarter, it has also reported a net loss of $9.4 million. This is down from the $15 million net loss the company saw during the third quarter of 2013, but may still have an impact on the company’s stock.